Congratulations to all our researchers presenting at CAEP Calgary 2018. This year we have had a total of 13 research abstracts accepted for either oral or poster presentation, 2 invited presentations and 1 track chair. We are also involved in a number of administrative, academic and research committee meetings across the conference. Congratulations to Dr Mandy Peach, PGY2 in the EM/FM program, on her success in receiving the Doug Sinclair Top Resident Research Award at the Dalhousie University Emergency Medicine Research Day 2018 and also Top Project at the Dalhousie Saint John FM/EM Project/Research Day 2018. Mandy presented her research on Sonography in Hypotension (SHoC-ED) diagnoses and shock categories. Well done Derek Rollo and Luke Taylor for their joint runners up position. Derek presented his work on the ECPR/ED-ECMO feasibility study, and Luke presented on Sonography in Hypotension (SHoC-ED) resuscitation markers. Study review of recent Airway World Webinar. 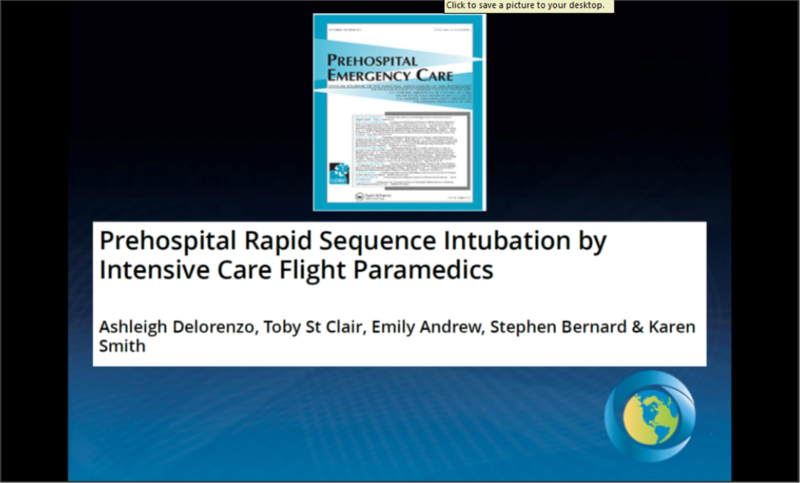 The study: Retrospective Data Review conducted in Australia investigating rates of successful RSI by intensive care paramedics. 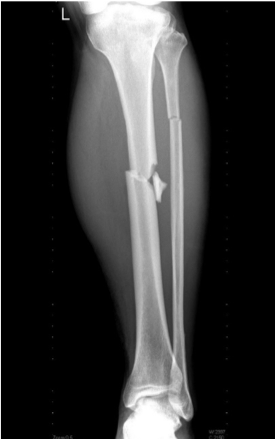 Rationale: Controversial whether RSI should be completed pre-hospital as unsuccessful attempts can result in patient complications. Results: First pass success rate of 89.4% with low rates of complications – hypoxia (1.3%) and hypotension (5.2%). Bottom line: Appropriately trained air transport paramedics can perform RSI pre-hospital with high levels of success. Rationale: Critical care transport teams are the first point of critical care contact for acutely unwell patients. Tracheal intubation can be a lifesaving intervention performed while transporting to a tertiary care center. 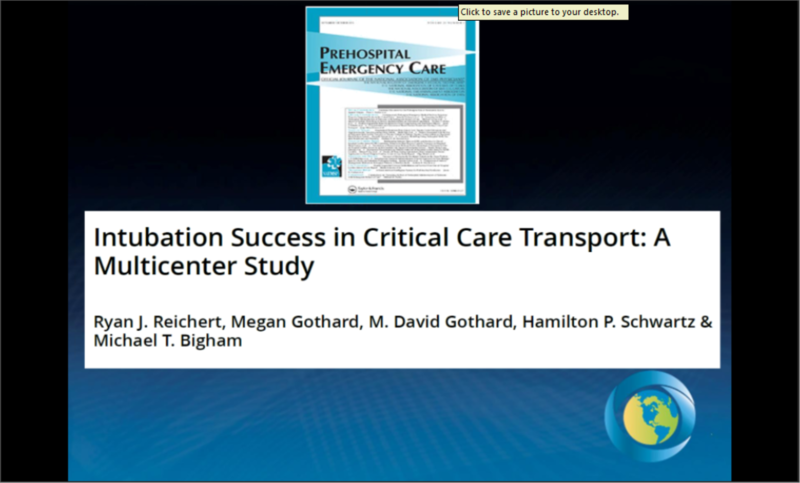 Results: First attempt intubation success was higher in adult focused critical care transport paramedics, regardless of the age of the patient (>86%). Bottom Line: Experience may be a significant factor for intubation success. Experienced intubators have better success rates in all patient age groups. 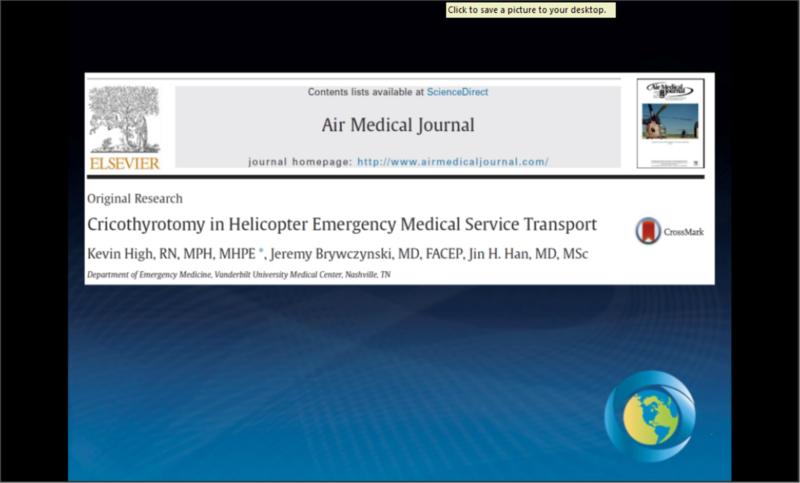 The study: Retrospective chart review of air medical patient records where cricothyrotomy was performed to assess frequency, success and technique. Rationale: When all other airway maneuvers fail, cricothyrotomy is a potentially lifesaving skill. The results: Performance of cricothyrotomy is rare (<1% of over 22,000 patients), but when performed had 100% success rate. Bottom Line: Although a rarely performed skill, Helicopter Emergency Medicine Service providers can successfully perform cricothyrotomy when needed. The study: Multicenter randomized clinical trial comparing outcomes in patients who were either intubated or bagged following out of hospital cardiorespiratory arrest. Rationale: Bag mask ventilation is an easier clinical technique to perform during CPR and previously reported as superior than intubation in terms of survival. Neurological outcomes at 28 days post arrest had not been reported. Results: No difference in rates of survival or neurological at 28 days between bagged or intubated patients. 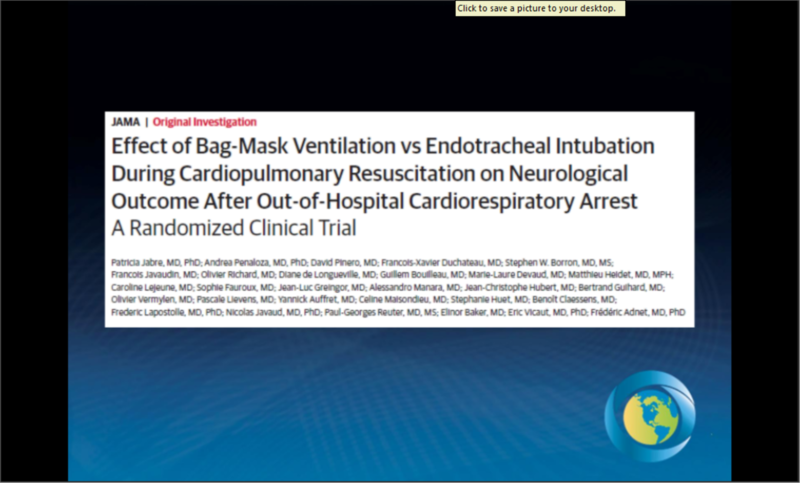 Bag mask ventilation was associated with higher regurgitation rates and, in general, were more difficult airways to manage. Bottom line: We don’t know if bag mask ventilation or intubation is superior. More research needed. Another Solution for Dental Pain when “NSAIDs do nothing for me Doc! Dental pain is a common problem encountered in the Emergency Department (ED), yet physicians in the ED often have no to little education regarding management of dental pain. Depending on where you read, dental pain complaints account for 1-5% of emergency department visits. A common approach consists of looking for infection and providing a prescription for antibiotics and NSAIDs along with recommendation to follow up with a dentist. Although, there is good evidence for NSAIDs in dental pain, some patients find that it does not help enough with their pain or they have contraindications to NSAIDs. This often leads to the prescription of opioids for dental pain. Given the recent opioid crisis in Canada, there has been a search for other forms of management of toothache/dental pain in the ED. Insert the dental block! It’s fast, easy, and provides good pain relief, while providing a chance for patients to book an appointment to see their dentist the following day. There has been some evidence that this method achieves good pain control for the patient and may help lower opioid prescriptions in the ED for dental pain. The combination of Lidocaine and Bupivicaine allow the mix of immediate analgesia from the Lidocaine and prolonged duration of action by the Bupivicaine. The addition of Epinephine will also increase duration of effect. This combination should provide approximately 8 or more hours of anesthetic effect. Pull out patient’s cheek laterally to have a good view of the patient’s tooth and gingiva. 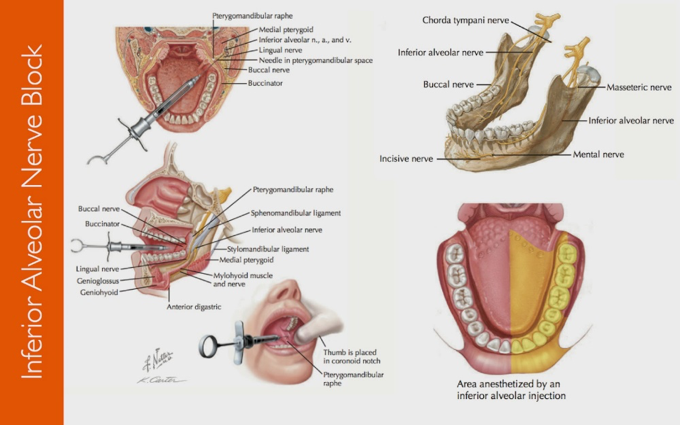 Insert needle into the mucobuccal fold just above the apex of the tooth to be anesthetized. Keep the needle parallel to the tooth and insert it a few millimeters until needle tip is above the apex of the tooth. 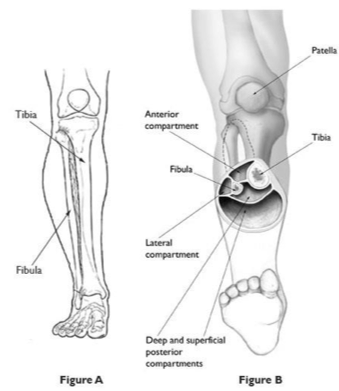 If bone is contracted, withdraw 1-2mm and aspirate. 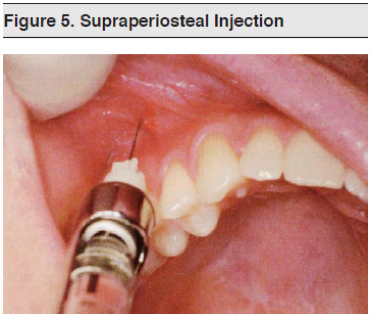 If no blood is aspirated then inject 1-2 ml of anesthetic. If blood is aspirated then withdraw and reposition. Place your thumb in the coronoid (mandibular) notch of the patient and extend the patient’s cheek out laterally so you can see the patient’s pterygomandibular raphe. Place your syringe in the opposite corner of the mouth and with your needle at the middle level of the raphe, aim just lateral to the raphe. Insert your needle approx. 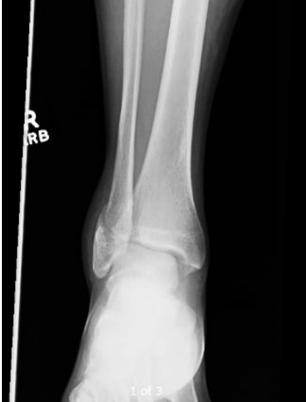 2-2.5cm until you hit bone. 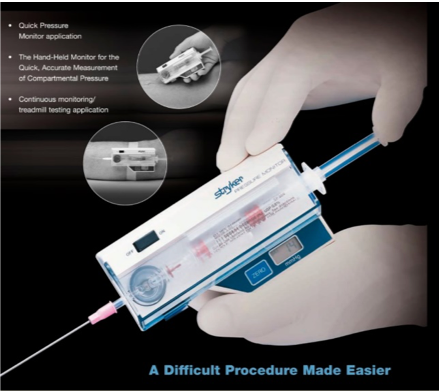 Pull back a millimeter and aspirate twice. If any blood on aspiration, withdraw and reposition more laterally. If no blood with aspiration then inject 1-2ml of anesthetic. Complications, diagnosis, and treatment of odontogenic infections [Internet]; c2017 [cited 2017 November 10]. Available from: https://www.uptodate.com/contents/complications-diagnosis-and-treatment-of-odontogenic-infections?source=search_result&search=dental%20pain&selectedTitle=1~150. Fox TR, Li J, Stevens S, Tippie T. A performance improvement prescribing guideline reduces opioid prescriptions for emergency department dental pain patients. Annals of Emergency Medicine 2013;62(3):237-40. IA with a Short Needle [Internet]; c2015 [cited 2017 November 10]. Available from: https://www.youtube.com/watch?v=1Mf3f0XmsqI. 5. Local Infiltration [Internet]; c2014 [cited 2015 November 10]. Available from: https://www.youtube.com/watch?v=Y2NSuxd7j_g. How I learned to love dental blocks [Internet]; c2014 [cited 2017 November 10]. 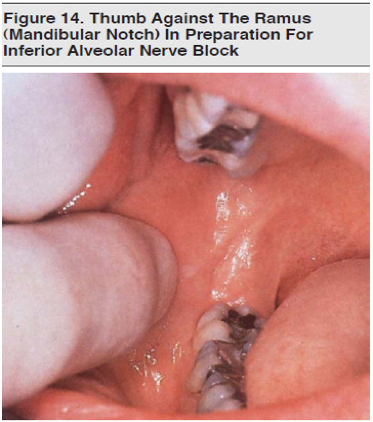 Available from: http://www.clinicaladvisor.com/the-waiting-room/dental-blocks-useful-in-emergency-medicine/article/382951/. M2E Too! Mellick’s Multimedia EduBlog [Internet]; c2014 [cited 2017 November 10]. 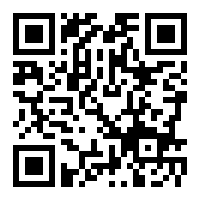 Available from: http://journals.lww.com/em-news/blog/M2E/pages/post.aspx?PostID=32. Moore PA, Hersh EV. Combining ibuprofen and acetaminophen for acute pain management after third-molar extractions: Translating clinical research to dental practice. J Am Dent Assoc 2013 Aug;144(8):898-908. Okunseri C, Dionne RA, Gordon SM, Okunseri E, Szabo A. Prescription of opioid analgesics for nontraumatic dental conditions in emergency departments. Drug Alcohol Depend 2015 Nov 1;156:261-6. Patel NA, Afshar S. Addressing the high rate of opioid prescriptions for dental pain in the emergency department. Am J Emerg Med 2017 Jul 3. 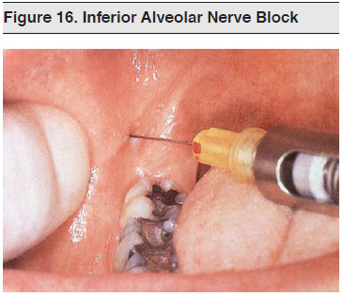 Oral Nerve Block [Internet]; c2016 [cited 2017 November 10]. 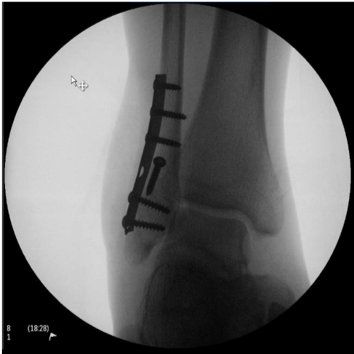 Available from: https://emedicine.medscape.com/article/82850-overview#a1. Dental Pain in the ED: Big Solution in a Small Package [Internet]; c2005 [cited 2017 November 10]. Available from: http://journals.lww.com/em-news/Fulltext/2005/06000/Dental_Pain_in_the_ED__Big_Solution_in_a_Small.12.aspx. As I began a new role with WorkSafeNB, alongside ongoing work in Emergency Care, I thought that perhaps it was timely to reflect on some of the best ways that we can all improve our health and the health of our patients, whether at work, or at home. Too often, we equate our health with how we feel, what pills we take, or how often we see a nurse or doctor. We all have a much greater influence and control over the quiet processes underpinning our physical and mental health than we are aware of. How can we, as a society, achieve mindfulness that while some parts of our bodies (neurons) are as old as we are, others (skin, lungs, liver and even our heart) are replaced over time, cell by cell? That the food we eat is not just fuel for our bodies, but also supplies the building blocks – the replacement parts for our organs? To consider that when we drink that bottle of sugary pop to wash down the nachos or pizza, we should not be surprised if the body we build, over time, reflects those choices. If we sit all day, every day, and then suddenly need to run to catch a bus, or climb a flight of stairs, is it surprising that our leg muscles cry out in protest, and our heart pounds to alert us to its stress? I believe that 2017 is as good a year as any for us as a society, and as individuals, to make some changes, so that in 2018, 2028 and beyond, we have a little bit more health, and a little less “health care” in our lives. How does that relate to work? Let’s look at a few scenarios: working, being unemployed, disability, going back to work and time spent at home. Working: In general, going to work is good for us. Working is the most common way to make a living and attain financial independence. We know that long spells without work are harmful to physical and mental health. Earning enough money to eat well, to afford leisure, to reduce stress around meeting payments is likely to benefit our health. Work also meets many psychosocial needs including identity and providing a purpose in life. However, many jobs pose both physical and psychological hazards that can risk health. These might include the dangers associated with construction, operating machinery or performing repetitive tasks, or may simply be the amount of sitting down at work. People who sit for prolonged periods of time have a higher risk of dying from all causes — even those who exercise regularly. Unemployment: There is a strong association between not working and being in poor health. Unemployed people die earlier, have more physical and mental health issues, and use medical resources more frequently. Disability: Injured and ill workers need the time and medical interventions provided to them by workers’ compensation, or other insurance, to recover from their injury or illness. However, they too will suffer the ill effects of being off work for extended periods of time. Going back to work: For the most part, the negative effects of not working can be reversed by going back to work. Disabled and sick individuals should be encouraged and supported to return to some form of work as soon as possible, when their health condition permits. Again, this helps to promote recovery and rehabilitation; leads to better physical and mental health outcomes; improves their economic position and improves quality of life overall. At home: Many of the factors that influence health in the workplace also apply at home and in all other settings. Better food, less sitting, more exercise, more relaxation, and active community engagement all improve our health and wellbeing. We all know these things to be true. Physicians and politicians talk about educating the public. And yet rates of obesity, diabetes, high blood pressure, mental health issues and many other chronic illnesses continue to increase. So, while we must continue to promote healthy choices, it is clear that education and information are not very effective without systemic change. Over the past century, major health improvements and increased life expectancy came about because of clean water and rapid declines in infectious disease, including immunization policy, as well as broad economic growth, rising living standards, and improved nutritional status. Much of this change has been at a societal level, rather than individual – in other words, ordinary people didn’t really need to make any special effort to benefit from these things. More recent smaller gains have resulted from advances in treatment of cardiovascular disease and control of its risk factors, such as smoking. Frieden’s “Health Impact Pyramid” clearly shows that if we want to improve health, the most effective and straightforward means is through improving socio-economic factors. However, the next level of action is challenging. 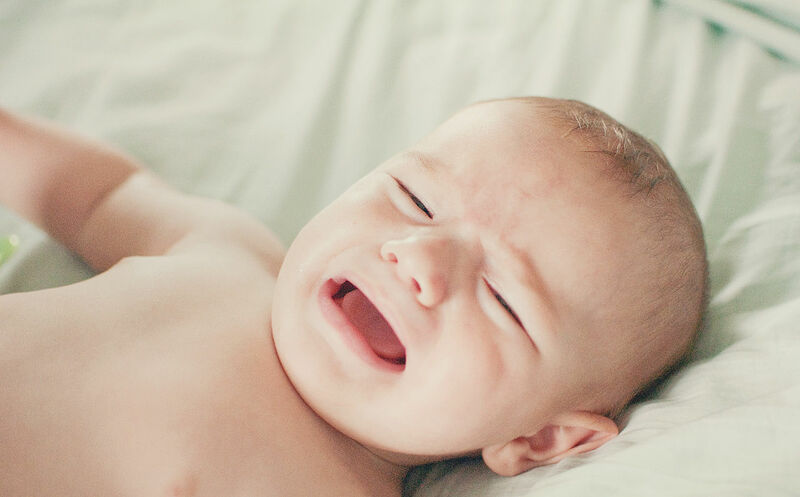 “Changing the context to make individuals’ default decisions healthy” may sound to some a little too much like the “nanny state” or “big brother.” But does true independent individual choice exist? We tend to eat similar foods to those around us – think of the difference you notice when you travel to another culture. The milk we drink, the bread we eat – as individuals, we do not control the ingredients. We have similar habits to those around us – think social media, cars we drive, holidays we celebrate. These choices all contain elements that are beyond our control, yet they influence our health every day. Individual choices will move in a healthier direction when government, industry and community leadership come together to establish a healthier environment. Engage in your job. Remain as physically active as possible at work – stand rather than sit, for periods of time; use the stairs rather than the elevator. Eat well – pack a salad for lunch; don’t bring unhealthy sugary snacks to work. Take regular breaks, each day, each week, and use your vacation to renew body and mind. Safety – always take full safety precautions; never operate dangerous machinery when fatigued, distracted or intoxicated; report any dangers you discover. Engage your workers. Provide opportunity for physical activity. Facilitate options for healthy eating. Schedule workers appropriately, allowing adequate rest periods. Provide support for stressed, sick, or injured workers. And of course, always provide a safe work environment, cultivating a safety culture where workers are comfortable discussing dangers and precautions. Continue to work towards full employment. Promote exercise, and make it easier for all to exercise safely – with walking paths, cycle lanes and paths, safe crosswalks. Encourage a better general diet – create incentives for healthy choices. Encourage and incentivize the healthcare sector to make cost effective choices for treatment and investigation. 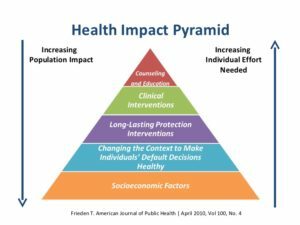 Prioritize health and prevention of disease when making policy decisions – factor in long term investment and cost savings over short term gains. Help create a healthy, safe culture for all. Let’s think about what food we buy – we are likely to eat it! We are what we eat (and drink) – it is not just fuel. Don’t drink sugary beverages – they will damage our livers and increase our chance of diabetes and obesity. Don’t smoke – it kills – and help is available to stop. Stand up, walk around, then walk some more. There are 24 hours in a day – why not spend at least half an hour exercising? Spend some time with friends and family, and spend some time alone, thinking. Here’s to a healthier 2017, at work, and at home. For original article in OPUS MD and French version see below. 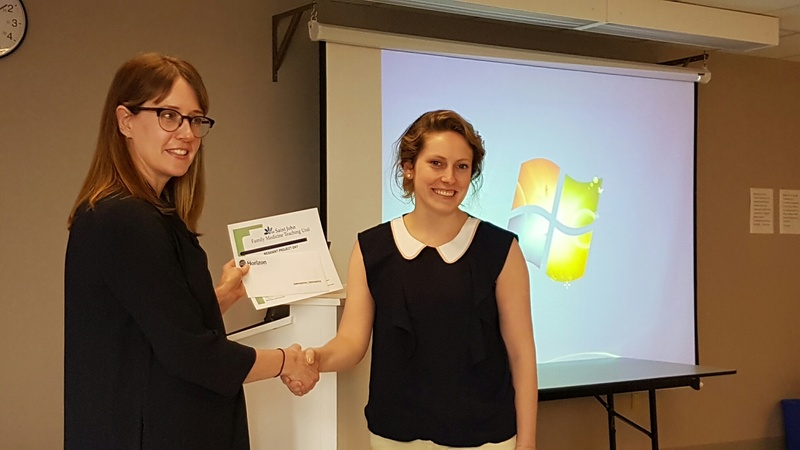 Summer 2017 has been productive for the Horizon / Dal NB emergency medicine research team. We are pleased that there continues to be a high level engagement from our department and from colleagues in other departments in the projects. A big thanks to Jackie, James and others listed below for all their hard work. We are also honoured to have had an opportunity to publish with some big names in emergency medicine including Jerry Hoffman, Scot Weingart, Simon Carley and others. Please do not hesitate to ask Jackie, James or me about getting involved as a topic expert or team member in a 2017/18 project. Contact Chris Vaillancourt, Cheri Adams, David Lewis, Jay Mekwan, Jo Ann Talbot, Mike Howlett, or anyone else listed below to chat about what is involved and their experience. We are looking forward to our annual research rounds in November. 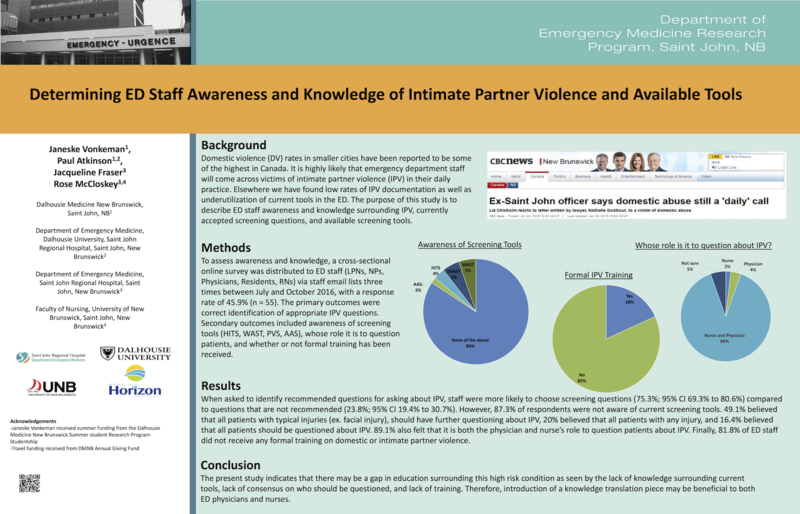 Hayre J, Rouse C, French J, Sealy B, Fraser J, Erdogan M, Watson I, Chisholm A, Benjamin S, Green R, Atkinson P. A traumatic tale of two cities: a comparison of outcomes for adults with major trauma who present to differing trauma centres in neighbouring Canadian provinces. CJEM. 2017 Jul 13:1-9. doi: 10.1017/cem.2017.352. Massaro PA, Kanji A, Atkinson P, Pawsey R, Whelan T. Is computed tomography-defined obstruction a predictor of urological intervention in emergency department patients presenting with renal colic? Canadian Urological Association Journal. 2017;11(3-4):88-92. doi:10.5489/cuaj.4143. Featured in September CJEM (in 2 weeks): Jacqueline Fraser, Paul Atkinson, Audra Gedmintas, Michael Howlett , Rose McCloskey, James French. A comparative study of patient characteristics, opinions, and outcomes, for patients who leave the emergency department before medical assessment. 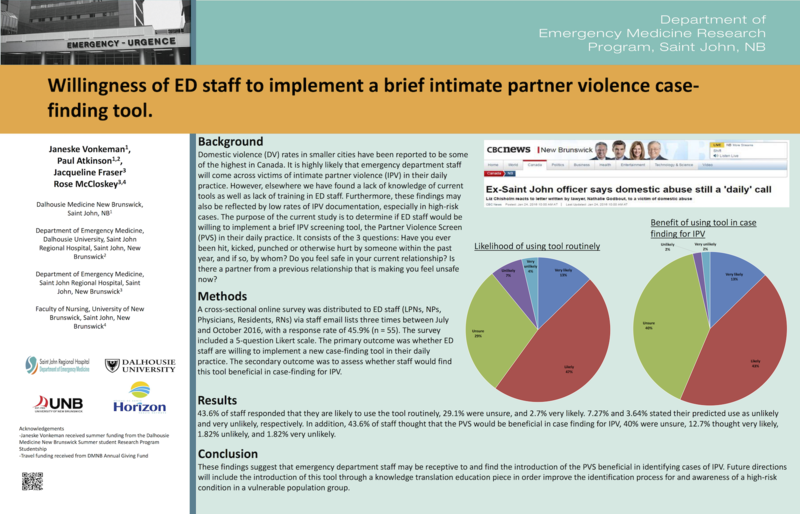 Canadian Journal of Emergency Medicine. Vol. 19, No. 5. Sept 2017. Geoffrey J. Hoffman, PhD, Jerome R. Hoffman, MA MD, Michael Howlett MD, Paul Atkinson MB MA. CoPayment. Medical Insurance is for non-routine events. CJEM. Mazurek A, Atkinson P, Hubacek J, Lutchmedial S. Is there a relationship between frequency of presentation and quality of care for ST-Segment Elevation Myocardial Infarction? Sebastian de Haan, MBChB; Hein Lamprecht, MBChB; Michael K Howlett MD, MHSA; Anil Adisesh MBChB, MSc, MD; Paul R Atkinson MB BCh BAO MA. A Comparison of Work Stressors in Higher and Lower Resourced Emergency Medicine Health Settings: An International Survey. CJEM. Hein H Lamprecht MBChB; Paul R Atkinson MB BCh BAO MA,; Richard Hoppmann MD; Gustav Lemke MBChB MMed; Daniel van Hoving MBChB MMed MSc; Lee A Wallis MBChB MD; Thinus F Kruger MBChB MMed MD DSc. Poor return on investment: Investigating barriers causing low credentialing yields in a low-resourced clinical ultrasound training program. CJEM. Hein H Lamprecht MBChB; Paul R Atkinson MB BCh BAO MA ; Richard Hoppmann MD; Lee A Wallis MBChB MD, Thinus F Kruger MBChB MMed MD DSc. Clinical Ultrasound Credentialing Outcomes: A Systematic Review and Critical Analysis. CJEM. Rouse C, Hayre J, French J, Sealy B, Fraser J, Erdogan M, Watson I, Chisholm A, Benjamin S, Green R, Atkinson P. A Traumatic Tale of Two Cities: Does EMS level of care and transportation model affect survival in trauma patients at level 1 trauma centres in two neighbouring Canadian provinces? Emergency Medicine Journal. We continue to recruit for CRASH3 – please consider any adult patient who presents with an isolate head injury within 3 hours of injury for inclusion. Thank you for your continued support for the Burnout (Critical Dynamics and Crucial Conversations) project which is ongoing. The epinephrine auto-injector education project is progressing well. We are finalizing data analysis on SHoC-ED1 and SHoC-ED2 studies and hope to submit for publication in the fall. Following the success at the Dragon’s Den in the spring of 2017, we have received REB approval for our ECPR (ED-ECMO) project and have begun phase 1. Phase 2 will involve in-situ simulation – coming up this fall. 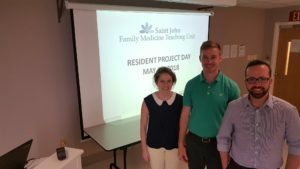 There are opportunities to supervise or co-supervise a resident of medical student project starting this fall. 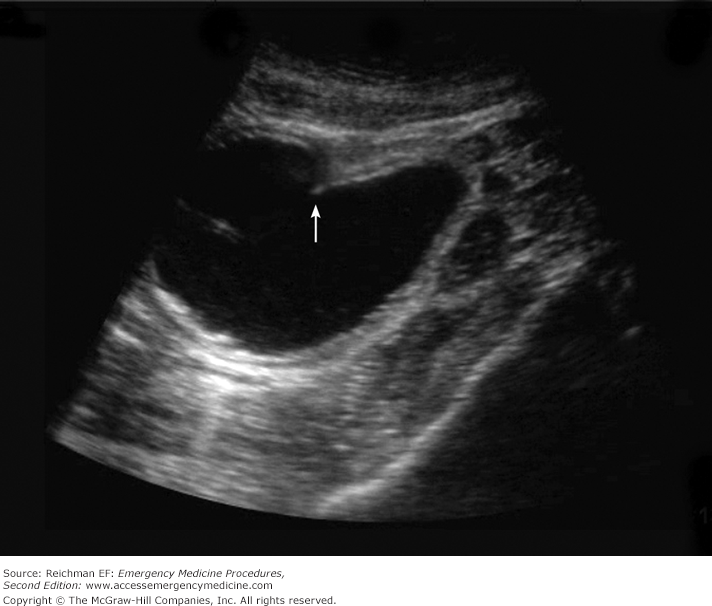 First trimester bleeding, low back pain in the ED, age-adjusted D-Dimer in DVT, predictive markers in shock, Informatics – admission predictors and more. 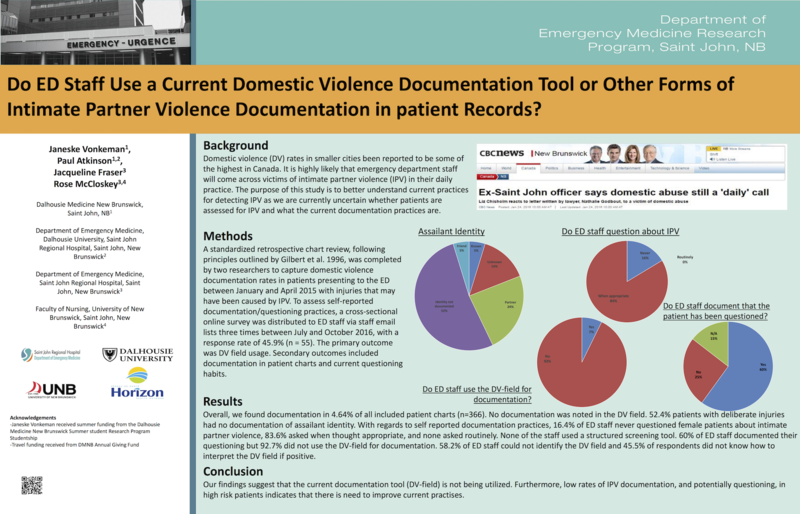 Do ED Staff Use a Current Domestic Violence Documentation Tool or Other Forms of Intimate Partner Violence Documentation in patient Records?